Dry Eye Syndrome is a condition that affects almost 10 million people in the United States. Symptoms include a burning, itchy or scratchy sensation, blurred vision that temporarily improves with blinking, and excessive tearing or mucus production. Dry eyes can even limit a person’s ability to wear contact lenses. Normally, the eyes are bathed in tears. Dry eye syndrome is usually caused by too little tears produced or because the tears are abnormal. There are many causes of dry eyes. Tear production decrease with age. Women are most often affected by dry eyes, especially after menopause, although men can experience dry eyes as well. Many common medications can reduce tear production such as diuretics for high blood pressure, antihistamines for allergies, pain medications, and antidepressants. Many environmental factors cause dry eyes as well, like air-conditioning, dry weather and smoke exposure. Other medical conditions like thyroid disease or rheumatoid arthritis can cause dry eyes too. 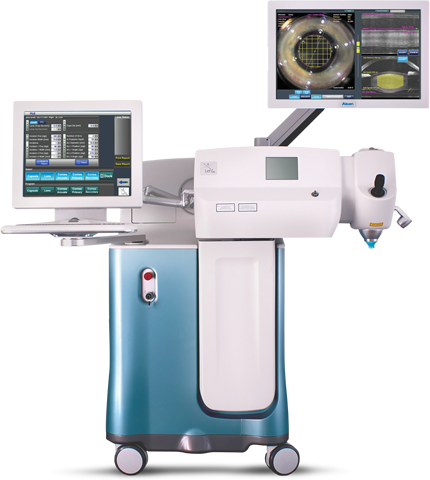 The doctors at Medical Eye Associates can diagnose dry eyes by examining the eyelids, tear film and corneal surface. Sometimes, other diagnostic tests to measure tear production are necessary. It is necessary to take a thorough health history and review all medications. 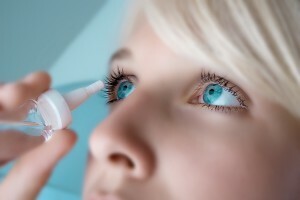 Sometimes it is necessary to do blood tests to help find the cause of dry eyes. If your doctor determines you have dry eyes, treatment recommendations will be made, ranging from over-the-counter artificial tear drops to prescription eye drops or the placement of punctual plugs to close the tear drainage channel. Other measures to treat dry eyes include reducing the use of ceiling fans, using humidifiers, and avoiding smoky environments. If you have the symptoms of dry eyes, call today to schedule an evaluation for dry eyes.